The stability analyses of slope excavations in rock mass require reliable geomechanical input parameters such as rock mass strength, friction angle and cohesion of sliding surface. These parameters are naturally uncertain and their exact values cannot be known, therefore, their variability must be properly accounted for in the stability analyses. Deterministic approaches such as the limit equilibrium methods, numerical methods and kinematic analysis methods do not account for the variability in any of the input parameter. 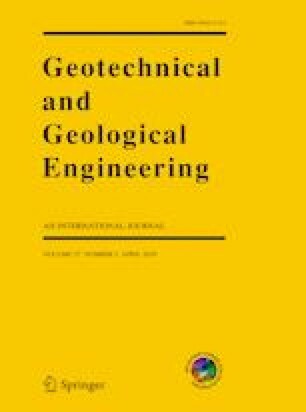 This paper therefore provides a review of uncertainty and uncertainty analysis methods, problems and developments in geotechnical modelling of rock slope stability. The review is motivated by the availability of qualitative and number of methods for uncertainty analysis. The paper examines the various definitions and description of uncertainty and the different vocabularies that are used, and also summarises and categorises the different sources of uncertainty as well as integrating uncertainty for rock slope assessment problems. The paper discussed a simple survey of probability-based reliability methods that have been used for rock slope stability analysis in the past 3 decades.